LIEBSTER AWARD! | RAWR BOWS. Hello people! 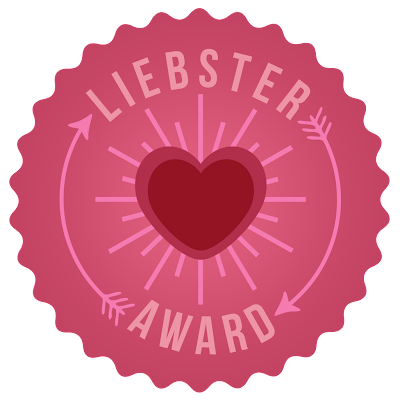 I'm so happy to say that I've been nominated for another Liebster Award by the lovely Dany (make sure to check out her blog!). The rules are the following: 1. Post 11 facts about yourself 2. Answer the 11 questions created by the person who nominated you, then create your own set for the people you nominate. 3. Choose 11 people that have under 11 followers to nominate and link them back to your post 4. Let the people you nominated know they've been tagged. 1. What's your favorite TV show? Right now, Castle. 2. Do you have any brothers or sisters? I have one sister. 3. What inspired you to start a blog? YouTube. I started watching Zoella, Bethany Mota, Meredith Foster... and I loved watching their videos. I was not brave enough to start a youtube channel so I went for a blog. One of the best ideas I've ever had. 4. What is your favorite thing about living where you live? Right now, I live in London during the winter and Mallorca during the summer. My favourite thing about living in London is the fact that it is London and there's always something cool going on, you never get bored. What I love the most about living in Mallorca is the nice weather and how people are much more easy going than in London. 6. What did you enjoy the most about this summer? Getting to spend some time with my sister, I really miss her when I'm away. 7. Where do you see yourself in a year? Living in London going to university and hopefully getting an internship during the summer. 9. What book are you reading right now? Right now, one about business... not fun at all. 10. What was your favorite thing to do as a child? Watch TV. I could spend a whole day (literally) sitting on the sofa watching TV on my own. Congrats on your award!! Would you like to follow each other on GFC, Bloglovin & Google+? If interested, please let me know. Thanks for doing the Liebster Award! Loved your answers :D Castle is also one of my fav. series!